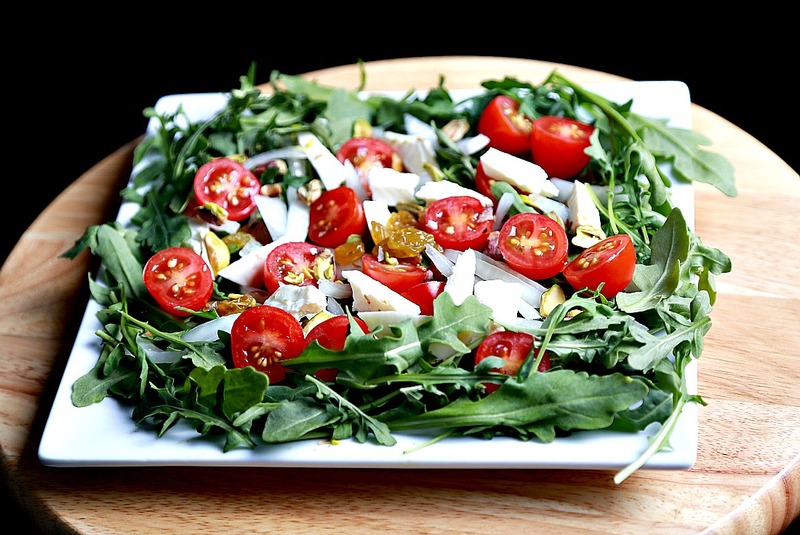 This salad is vegetarian and gluten free too! 0.5 oz of golden raisins. *You can substitute white cheese with feta or Halloumi cheese. 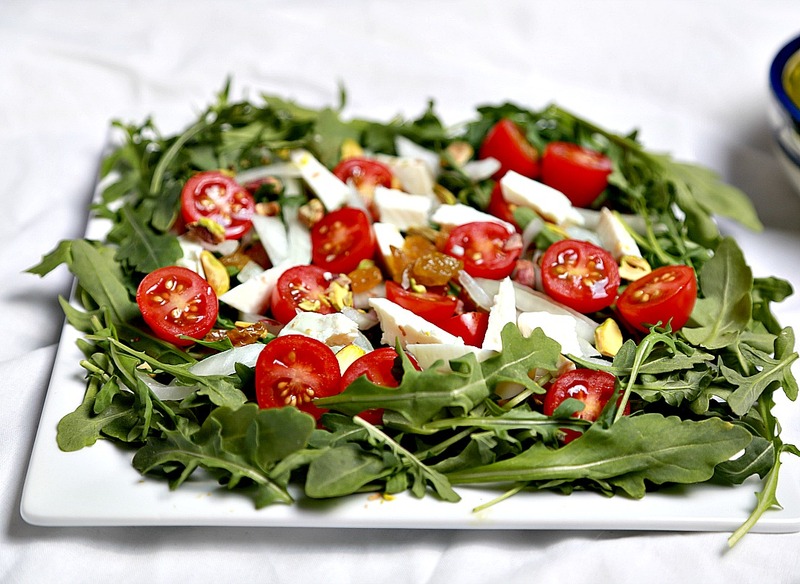 *You can substitute arugula with spinach or rocket. Farida is a nutritionist, food blogger, wife and mom. Her mission is to offer nutrition education, and awareness through informative posts, and healthy recipes.